Ripping yarn. 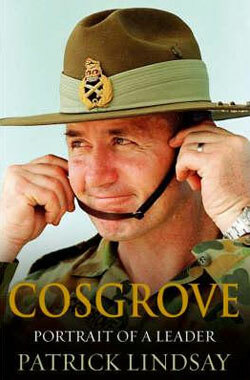 Cosgrove is an easy read that tells the story of the man behind the legend. It’s the biography that had to happen: we just had to wait a bit for it. Former print and television journalist Patrick Lindsay has added what will undoubtedly be another best-seller to his list of books with the release of Cosgrove, the story of how one man rose from the ranks of the ordinary to be an extraordinary leader and commander.